UPDATE: Check out my latest take on the PA program here! Earlier this month, Poshmark rolled out the Poshmark Ambassador status to replace the Suggested User program. To find out more about the new program, click here. As a Suggested User, I was grandfathered into Ambassador Status. My own closet was on vacation, but I started to read and hear immediate concerns about the change when they first occurred. The algorithm had changed. The way we worked within the app and how we made sales were affected. People were concerned. Apparently, their Poshmark sales were negatively affected. I re-opened my closet from a short break. It had been 21 days since I last used Poshmark. I began to experience some of what the other users were saying. Prior to the app change, I had a lot of activity and decent sales. It had completely changed post PA status. Influx of Followers: As an SU, I did have a steady stream of followers, which would peak when I would appear on the SU wheel. During the peak, I could get hundreds of followers. As a PA, my follower number increases all day long. It’s been said that each new user now follows a standard of 120 users upon joining (instead of the previous 45). I did not appear to have any increase of sales from this. I did have a larger feed to go through, which meant I could have missed comments or offers had I not looked specifically for them. I read some other users were seeing more men and unsavory characters following them. I have been lucky in that I have not immediately seen any negative users in my feed. However, it’s likely that I missed them. I see the new followers as potential customers so I don’t mind them. Little to No User Activity: It was hard to see the likes with the feed nowadays. However, from what I initially saw, there were very little shares or likes. I noticed from the Poshmark groups that I wasn’t alone. No Poshmark Sales: Granted, I had just re-opened my closet, so I didn’t expect much. However, I saw no offers or interest within the first three days of re-opening. I usually see a few by this point. Other users have advised no buyer activity, decreased number of likes and offers. However, I did see some people that did do well and made a great number of sales. Those people don’t seem to be majority for now. Continued the Poshmark 30 Minute Method or at least a mod version of it). No matter the change in the algorithm, the app will still need activity. The algorithm isn’t known to any of us as users. We only know that it changed. We just don’t know how. Yes, this is frustrating. Yes, it kinda feels like a lot of work with no reward. However, if we want to continue with Poshmark, some activity is always going to be better than none at all. Developers are always looking at the programming. They will see what works and what doesn’t. User testing takes a while and generally, a good number of examples need to be reviewed as changes are made. It takes a lot of work to write code. It takes even more work to see what works and rewrite it. It’s a never ending process. In order to find out what works for the business, there needs to be activity. Therefore, I’ll continue to work in the app. I did see an increase of user activity (shares, likes and organic followers) during this time. Utilized the Price Drop Tool: Poshmark introduced their Price Drop Tool, which identified the lowest price you had to post in order to qualify for notifications and reduced shipping. They also implemented Closet Close Out (reduced shipping event) on Thursday. My guess is that it was a way to test out a tool. I also thought that Poshmark as a whole had a bad sales month, and this CCO was also used to meet month end numbers. Remember, when we have low sales, that also impacts Poshmark’s profitability. I did make a sale during this time and saw an increase of buyer activity. Direct Sharing: Poshmark has been pushing the Dressing Room, so it make sense to increase activity. There’s a fine line between a simple share and harassment, so I limited my direct shares. I chose to only direct share a welcome sign to new Poshmark users who didn’t seem to fit my target demographic or didn’t have a user profile post. I also direct shared a pricing promotion to users who liked higher priced items or liked a number of items. I saw some success with users responding to the content of the direct share. Free / Reduced Shipping Offers: Free shipping entices everyone. It’s a cost that people don’t want to bear. I went to back to bundles in my dressing room and made offers to certain people for shipping (plus additional discount if warranted). I figured that since this is also a new feature, it would be best to show some utilization. Not all people responded, but at least I tried. I’m not sure if I’ll continue it, since the shipping discount is taken off your take of profit. Clearing Sizes in My Profile: I did this since my closet carries multiple sizes. Choosing only a few in my profile might limit who can be matched. It could also go the other way. However, I saw more activity after I cleared them out. At the end of the week I made three sales, which doesn’t seem like a lot. However, one sale was during CCO, and two were straight full price purchases. I also got more activity in shares, likes and bundles. My results are definitely not desirable for a full time seller. I’m a hobby seller who just came back from a temporary closing. What I saw was feasible for me in the short term. I’m hoping that as the Poshmark team continues to modify the algorithm, my activity will result in more sales and potential customers. Literally used to have 1-2 sales a day. Once I became a PA, I have had 1 sale in the past month. It’s been frustrating and not worth it. The sellers that do well buy bots. period. You can’t compete with all the sharing without them. Hopefully it turns around for you soon! I do not use any bots and spend about an hour or so max on the app most days. I can’t share as much because of the limited time. I do average 30+ items in sales monthly. This all came as I continued with my usual routine. Good luck to you and hoping things get better ! So I thought of something. I looked up being soft banned and I think that could be what’s happening. Maybe because we are sharing so much more we are getting soft banned where our shares aren’t showing/ hence less purchases. I think poshmarks program might think we are bots? Shared less yesterday and now just shared my whole closet and it’s back to being shared a lot which it wasn’t when I shared all the time ( mine and other people’s)I think we are just getting dinged for too much sharing/ welcoming people too much! I also think that there may be small instances if throttling. i went through a period earlier this month where it was crickets ! It will pass! I have been selling quite a few things lately. Do you have the new price drop function ? Maybe give it a try ! Good luck! I felt so excited when I first became a PA. That excitement quickly died when I was spending all day, every day, welcoming new “users” who would only have a picture, if that, and were always men +many holding guns, making gang symbols, etc. I thought that surely this must be Poshmark “testing me” to see if I was doing what I was supposed to, but it’s been about 6 months now and I won’t do it anymore. It’s working full-time time for Poshmark without getting paid! On top of that, my sales have continued to plummet, and being on disability, I really need the money. At this point, I’m at a complete loss. For the past 2 years, I have been attached 24-7 to Poshmark and it has done nothing but exhaust me. I just found the 30 in 30 method, and I’m going to try that because I cannot keep up anymore with what Poshmark thinks…really, I don’t believe that there is anyone who works for Poshmark “watching” everything and all the time I put into this. Ever since I became Posh Ambassador, I haven’t gotten any sales when before, my sales were consistent. If sales stall, what is the point of this “upgrade in status”? Very frustrating. I been reselling for awhile and just recently came to Poshmark 11/2017 & I am very close to being a PA. I believe the activity of customers is based on what you sell in your individual closet. For instance, in my closet my items are always brand new and always have the original tagging attached. I would assume most customers would want their items brand new and not used or slightly used. In addition, I wouldn’t recommend buying wholesale from Poshmark. Personally I don’t like their style of clothes and I think finding wholesale clothes that fit what is in style is better. I also share a lot of listing but that isn’t usually what drives my sales. Sharing other listings just gain me shares and likes and sometimes follows. Hopefully, Poshmark improves their program so when I become a PA it boosts up my sales. I think it really depends on the demographic that comes along your closet. New with tags has been a very small percentage of what I sell. The majority of my sales are pre-owned. I try to sell well sought after labels and styles, which I think has lead to my success. I’ve been selling online for over 7 years, and nearly 5 years on Poshmark. It’s been an interesting process going through all their iterations. I agree that the wholesale portal in Poshmark isn’t for everyone. I haven’t seen a lot of people with much success there. Congrats on your success! I completely agree with your assessment. It all just depends on who comes across your closet more often ! No matter how big your feed is you should not be missing comments, you just have to click on “comments” and all the comments will show. As to the PA program I agree with you…lots of followers but no sales. The sales have decreased for me since September. However, I am doing well through other websites. Not sure what is going on with Poshmark. Generally, I would say you’re right about the comments. However, there are some days where I do get large number of bundle, comments, other notifications which all fall in the comments section. I have missed something in the last due the busy feed. I’m glad that you’re doing well, even if not on Poshmark. I hope that picks up for you soon! Hi! I’m experiencing the same with way to many notifications of followers but little to no likes or sales even though I’m sharing three times as much as I was before becoming a PA. I was getting a good couple to three sales a day most days and now maybe 1-2 a week. What other sites are you having success with, if you don’t mind sharing? Many have said July is a slower month for them. I have been on eBay, selling off and on for 8 years. I had moderate success with Mercari, and nothing yet on Tradesy. 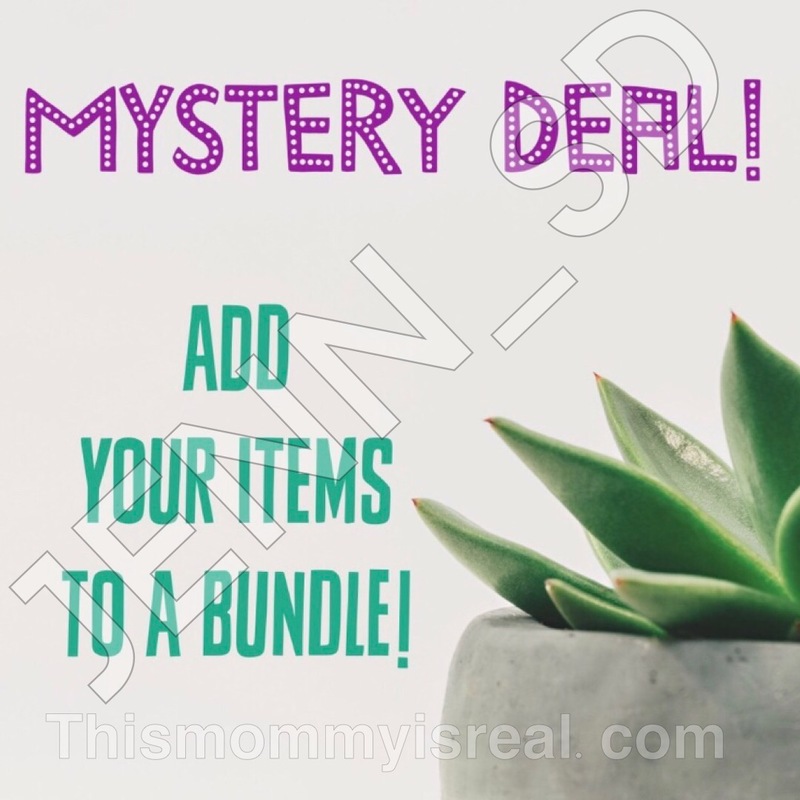 I’ve sold select items to Thredup (profit isn’t low so you have to be very strategic on what you send). I just started an Instagram boutique so we will see! Selling on many platforms can be profitable and help with exposure, but it does involve organization and time. Good luck ! I have been wondering if it is really worth trying to make the Posh Ambassador status. I will have to share 5000 pieces from other closets and boutiques. This was a smart move on Poshmark because I have found myself buying far more than I sell because I am looking at so many posher’s closets. I’ve still only shared 1500 and have many more shares to go. This is not good for my income! But good for Poshers. I think I am going to stop trying to be a PA because I don’t think the benefit will make it worth all the effort. Being active in the app is key to success. I would say to keep active with your own personal goals in mind. Sharing is a big part of Poshmark, so you’ll get there in time. As you remain active, PA status will come to you soon. Good luck ! I sell items from my own closet and from my mom’s closet, who is a different size than me. I’m also an active buyer on Posh. I noticed this past month especially that I sold a lot more of my clothes than my mom’s. I did not realize my size selections on the app were being used as a Posh ambassador to pair me with buyers! I thought the pairings were based on what’s available for sale in my closet. I’m going to update my sizes now to include my mom’s sizes and see if that helps boost my sales. Thanks for this post! I’m so glad I found your blog. I did a search on google for “Poshmark decline in sales since Posh Ambassador program,” and your blog was the first thing to come up. I’ve been an SU since 6-2016. My sales were at their best around July-August of this year. They were so well that I decided to open a boutique. A week after I opened it, the PA program rolled out, and I lost all my anticipated profits very rapidly. I am in a couple groups on FB, and I’ve seen SO many post about this. So many have had a MAJOR decline, and then some said they saw a huge increase. 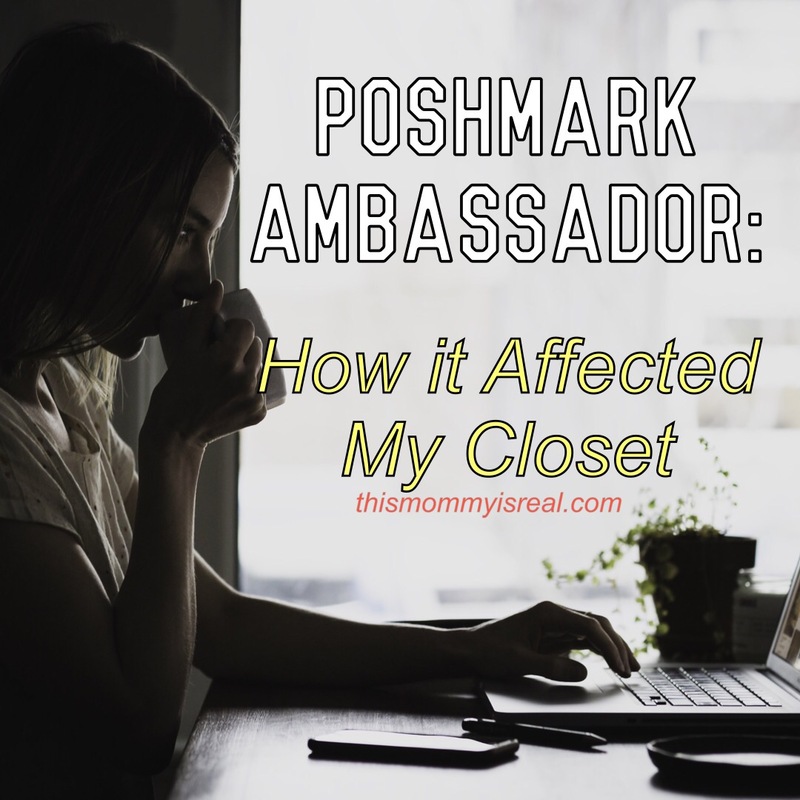 So here’s what I did: I emailed Poshmark, and I asked them to remove me from the PA program. I considered myself a Full Time seller before PA, and I let them know that this was hurting my income. That they push and push for us to open our own store. I finally did, and bam. No sales. (Although I will say I had more activity in my boutique than my personal closet). I received a response the next day. She said I can opt out of the PA program by responding to the email asking to remove me, but that once you’re out, you can never get back in. So I’m still in the program because I assume just as soon as I opted out, things would change with the app for the good. Fast forward to the present. I’ve spoken with 3 ladies about the style request feature. One joined in Feb, ‘16. She gets requests daily. One joined in Sept, 2016 – she also gets daily requests. One joined in 2013, no requests. Me? I joined in Sept 2015, became SU June 2016. Requests? Zero. Not even one. I just read (like 10 minutes ago) in one of the FB groups that these users getting style requests are considered “Stylists.” Also, one of the users I spoke to said the style requests only go to “older SU’s. This cake from the same user who joined the same month that I did. So why am I not getting requests? Apparently, stylists are getting the most activity. New users are also getting a lot. Regular ole PA’s like myself – activity is almost non-existent. At this point, I’m ready to opt out of the program, I’m just worried that they will make a change that could be good for us as soon as I do! Thank you for your summary!! Very helpful. As for unsavory followers… I have had a few. If someone has pornographic images, items that are illegal (drugs), guns, or threatening texts I have been reporting their meet the posher post as offensive. Poshmark has removed some of these users!!! I agree with everyone else. I’ve only been on PM since September 1st. However, I made my first sale 2 days after I started listing, and have continued to sell quite a bit every week since. Since the Start of the PA program, No more sales. No Offers. Increase in Followers, Decrease in Buyers. Just a bunch of people who want private discounts. I’ve had a ton of those with No sales. I’m very discouraged! It’s really tough, but lately, some people are starting to see some activity. Keep at it! Inactivity won’t do us any good. Good luck ! I have also had a drastic drop in sales and my closet is now more organized then it was when I was making sales. Tomorrow I’m actually going to delete, take new pictures and upload them hoping it’ll help. I getting tons of follows but I simply feel like no one is actually looking as my closet……. Truly its a pain especially because this was a way to fully clean out our closet and help with moving. I know what you mean! Sometimes reposting and changing how your cover shot looks gives it a different and new audience. Good luck ! Things have definitely been rough since the PA roll out. I actually decided to message Poshmark about my concerns and the consistent issues I was running into (posted on my IG poshingaarika if you want to read it). They were very quick to respond (under 24 hours) which I appreciated but it wasn’t a real answer (also posted on my IG). In the last couple of days I have seen sales but it’s because I have virtually ignored all other closets and have only been sharing my closet back to back to back and target following people. Buyers aren’t seeing the incredible variety of options so they aren’t buying. Sellers arent being exposed the was we were before so we aren’t selling. What they are calling “hyper personalization” is unfortunately painting a lot of people into corners. I hope to see them relax on the control bit and hopefully see changes. In the meanwhile, I’m going to try to delete my sizes in my profile and see if that helps and see how the current CCO goes. Fingers crossed and best of luck to everyone. Definitely see your point. I know many people are contacting support in hopes that they reconsider the changes. I haven’t target shared or followed in a while, but it sounds like something that’s worth looking into !